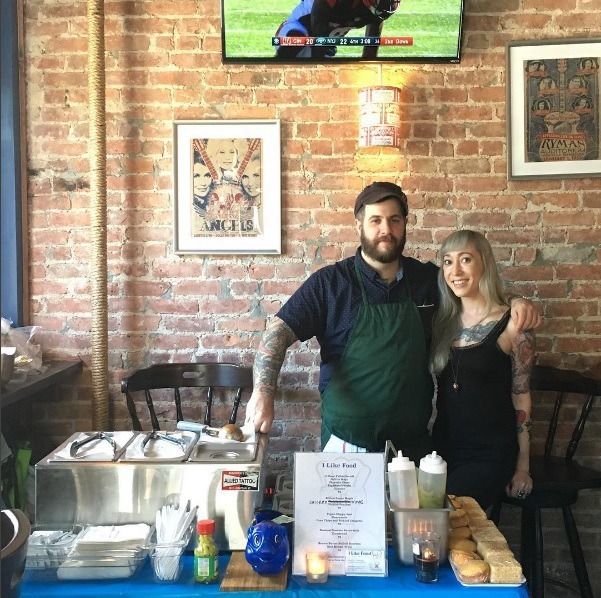 Fernando and Luann Strohmeyer, the proprietors of the aptly named year--old pop up kitchen I Like Food, are currently seeking to raise money with a crowdfunding campaign on the website Go Fund Me so that they can open a brick and mortar location in Ridgewood in March. The campaign, which went live this morning, has a goal of 15 thousand dollars, money which will go towards kitchen equipment, rent, permit fees, “and a whole bunch of food,” the Strohmeyers explain on the campaign's page. “This is my dream … I was born with no silver spoon in my mouth and am currently using a plastic one … I'm a damn good cook and my popup does make okay money, with rave reviews. I know if I had an actual kitchen of my own ([I'm] currently renting or begging chefs to [let me] use theirs) that I would be able to really take off,” Fernando tells his fans, friends and family. A modest chef from Massachusetts with 20 years of experience in the service industry, Strohmeyer acknowledges that donating money to buy kitchen equipment is likely not anybody’s highest priority. 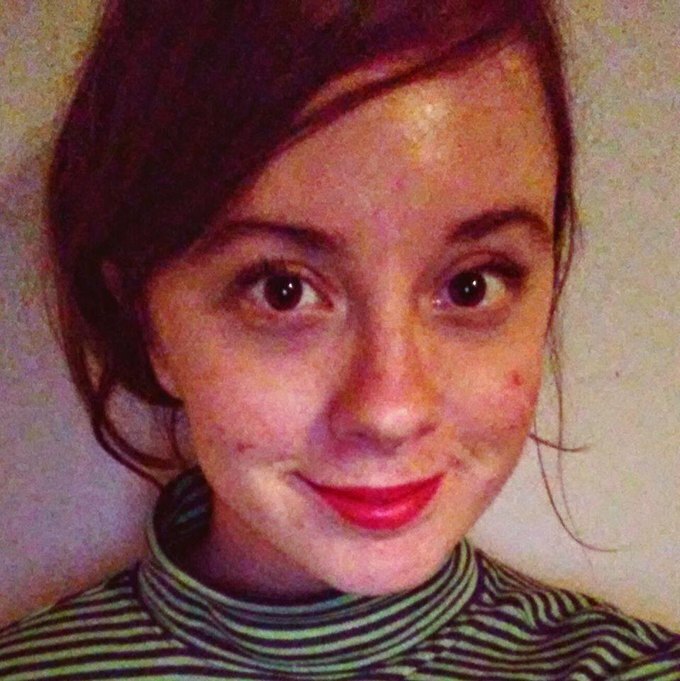 “I realize that there are so many other things you can be donating money to in this troubled world, and that me asking for money to cook chicken fingers is a lot to ask for,” admits Strohmeyer. From my perspective, though, propping one another up and helping each other do inspired work should also be very important. And everybody likes food, right? If funded, I Like Food will be located in the back of a Ridgewood bar which has yet to be revealed. In this new location, I Like Food will expand its menu, offer brunch, and, eventually, deliver until 2 a.m. on weekends and midnight on weekdays. In the year since the small business launched, I Like Food has served up its delectable eats at Starr Bar, The Footlight, June on St. Nicholas, Starliner, The Woods, Dromedary Bar, Bridge and Tunnel Brewery, and Sweet Janes, to name a few spots in the area. I Like Food assembles yummy sandwiches that pair perfectly with an evening out, and the kitchen always serves vegan options. Among the standouts on the the menu are Strohmeyer’s tofu chorizo Vegan Sloppy José ($8), which is served with corn chips, guacamole and an entire pickled jalapeno, and is a welcomingly sloppy, totally delicious dish. Meat eaters will dive into his 12-Hour Pulled Pernil sandwich ($8) which has pigskin crumbs and is what Strohmeyer considers the menu's finest offering. 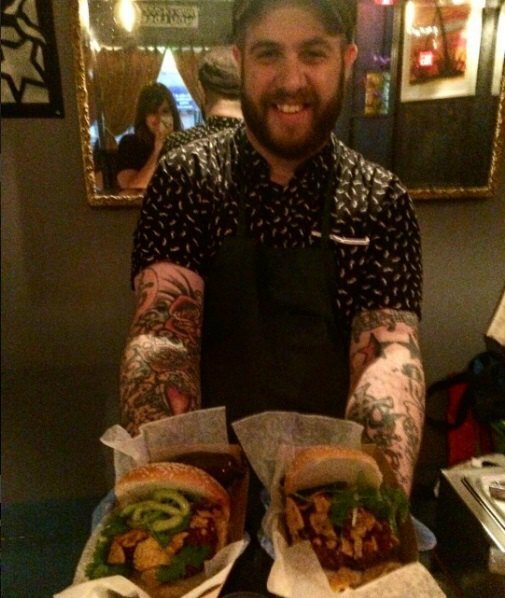 Strohmeyer pictured with the Vegan Sloppy José (L) and the Pulled Pernil sandwich (R). Photo courtesy of June on St. Nicholas's Instagram. Strohmeyer also concocts a colossal, dope Fruity Pebble Krispy Treat ($4), which is clearly the answer to a millennial's prayer. 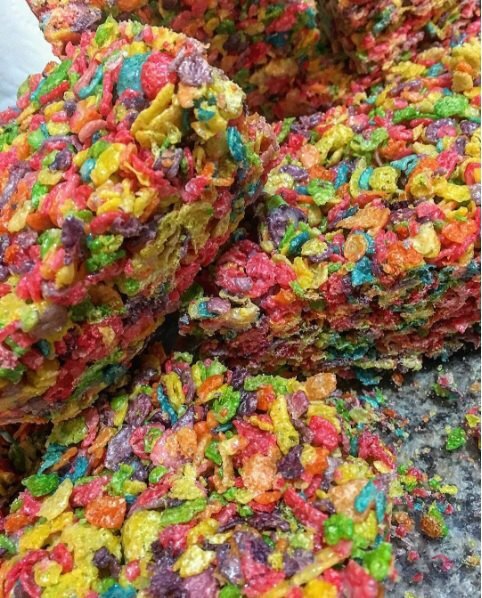 Strohmeyer's Fruity Pebble Rice Krispy Treats. Photo courtesy of I Like Food Instagram. Do you like food? Then Consider donating what you can to help the Strohmeyers in their mission to fill Ridgewood's bellies! Featured images: Courtesy of Sweet Jane's Instagram.